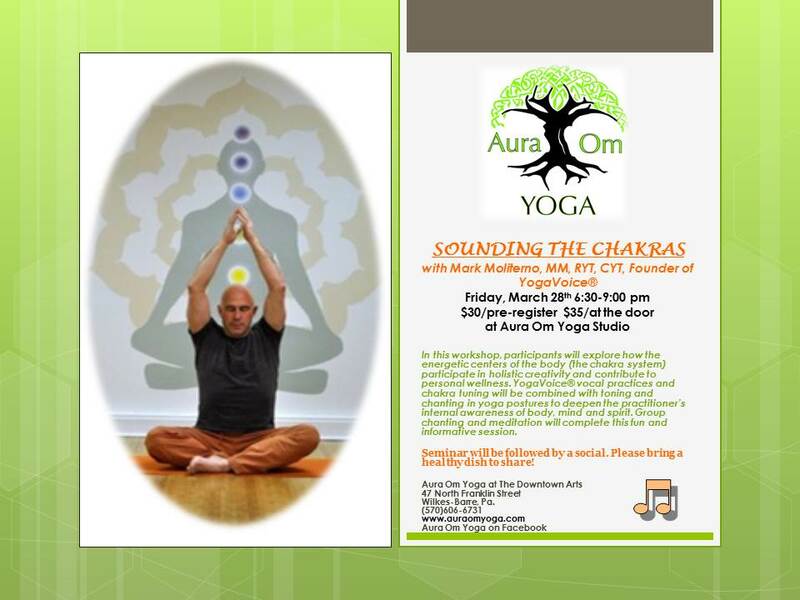 This Month & Upcoming Events - Aura Om Yoga. 24 Main Street.......off Street Parking. See classes for times and days. Realize the Self hidden in the heart and cut asunder the knot of ignorance here and now." Another day off from school? Yikes! No problem....we will keep your kiddos occupied with fun, enriching activities. 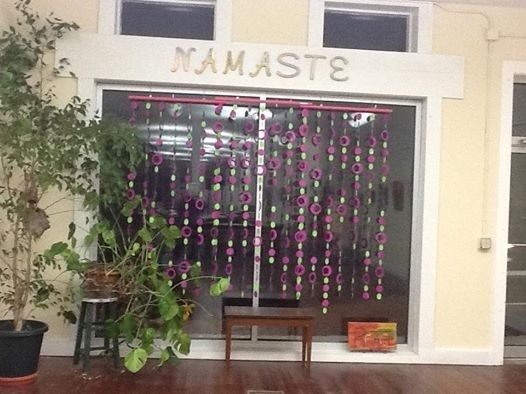 Our day camp will include yoga, socialization, creative drama and a craft. Craft: peanut butter free heart bird feeders. $30.00/pre-register $35.00 at the door. 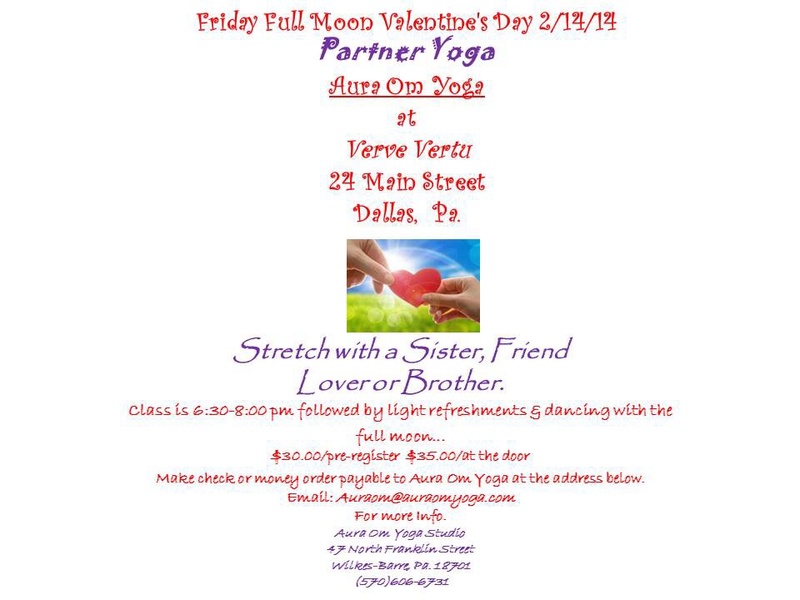 Payable to Aura Om Yoga at the address below... Payment is registration. If you want joy....give joy. If love is what you seek....offer love. If you crave material affluence...help others to become prosperous. 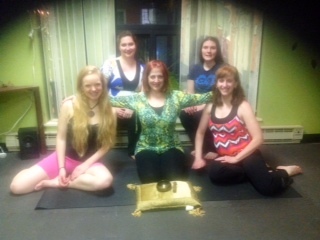 Thank you to Gina Malsky for accommodating the studio, so that it's conducive to yoga. Thank you to Jessica Manzolillo & Gina Malsky for donating curtains, and Janis Kline for helping to decorate and feeding us while we were at it! I'm grateful to all of you for the opportunity to teach which inspires me to study moreand for the smooth transition from Northampton...Acceptance. Our ongoing homeless collection continues: please donate your gently used clothes or essential items to be delivered directly to the McKinney clinic in Wilkes-Barre by Jessica. around Shel Silverstein's "The Giving Tree". feeders, and act out the story in creative drama with body awareness. 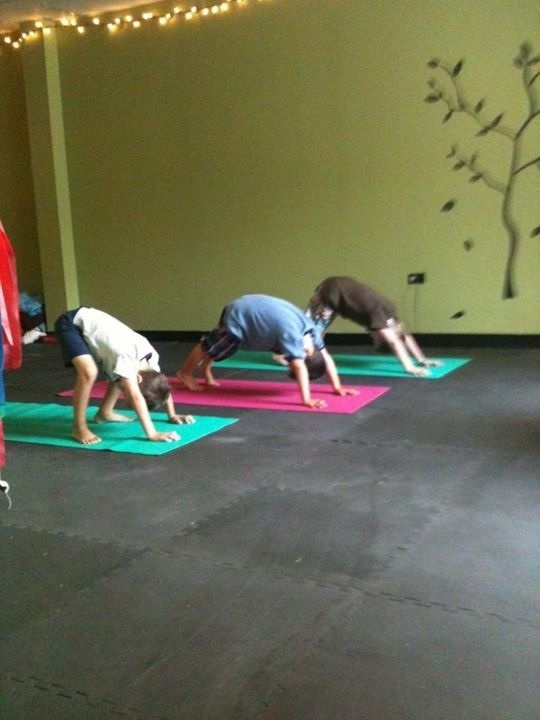 And of course lots of yoga fun! 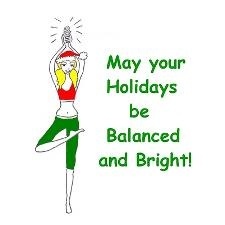 12/5/13 Thursday Intermediate 7:30 pm Class Rachel will be subbing for me. 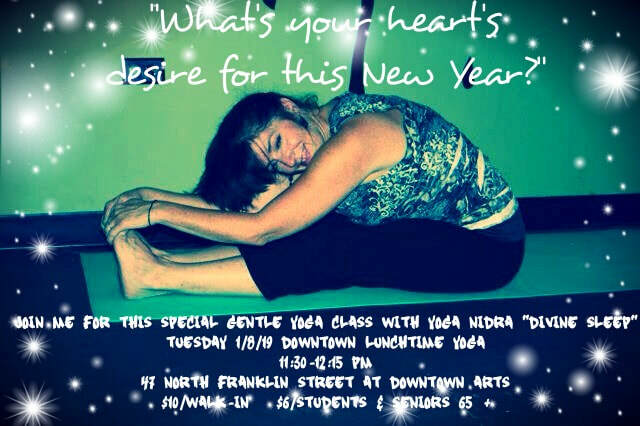 A great chance to experience Rachel's class for those who haven't yet! 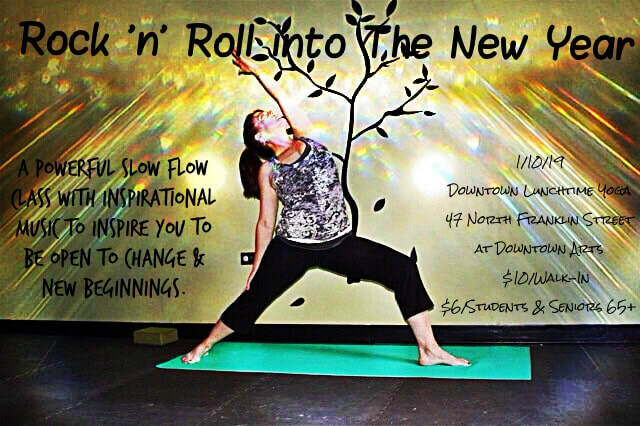 $25.00 pre/register by Friday12/27/13 Your payment is your registration. 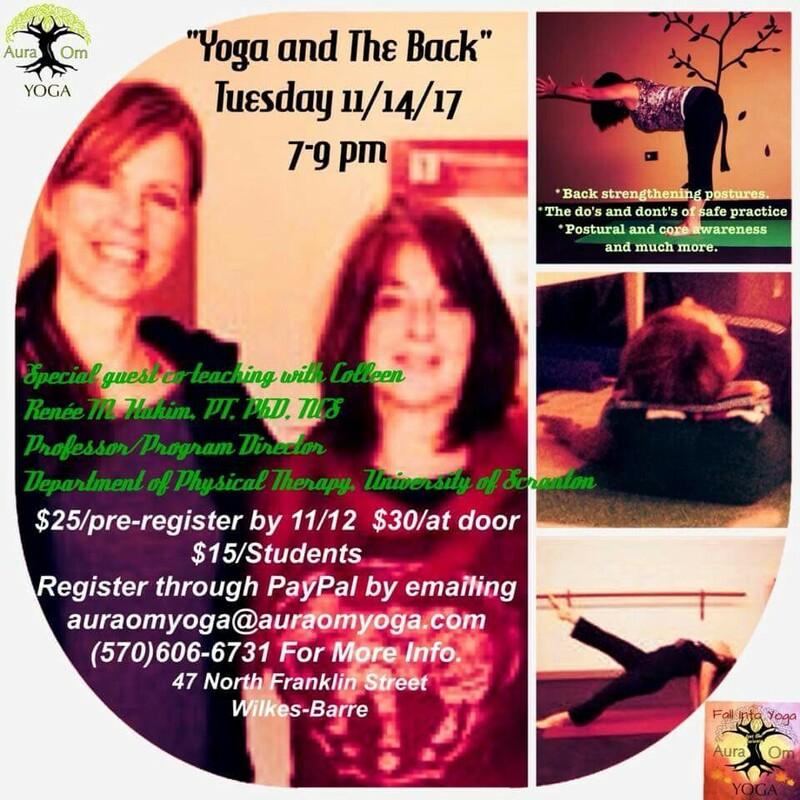 Payment can made to Aura Om Yoga. NEW THINGS FOR THE NEW YEAR!! We will be extending studio classes to Dallas on Tuesdays. 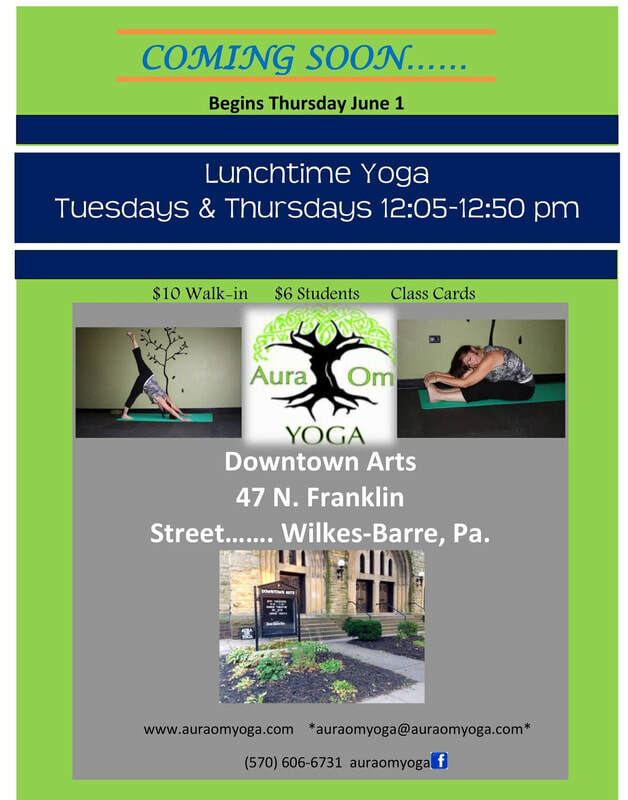 The 5:30 class will be held there instead of Wilkes-Barre, as well as an additional 7:30 pm class. 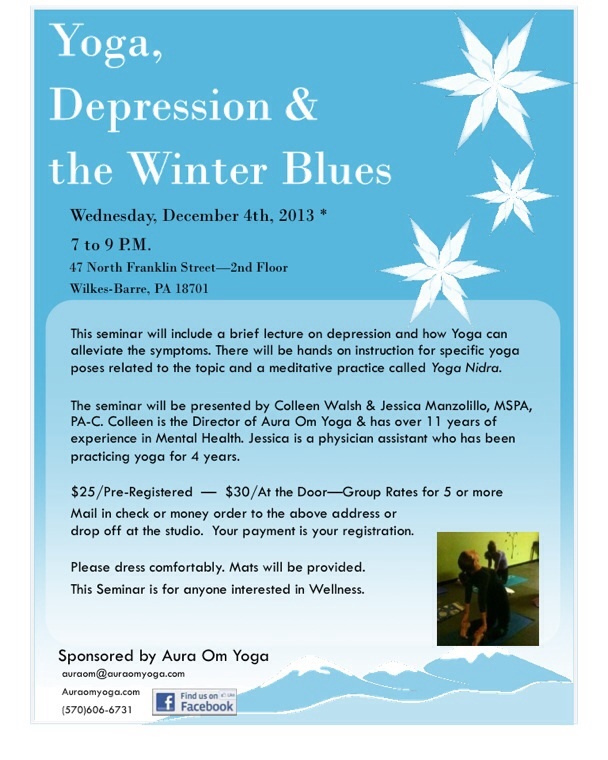 Both will be taught by me and Rachel's 730 pm class will continue at Wilkes-Barre.